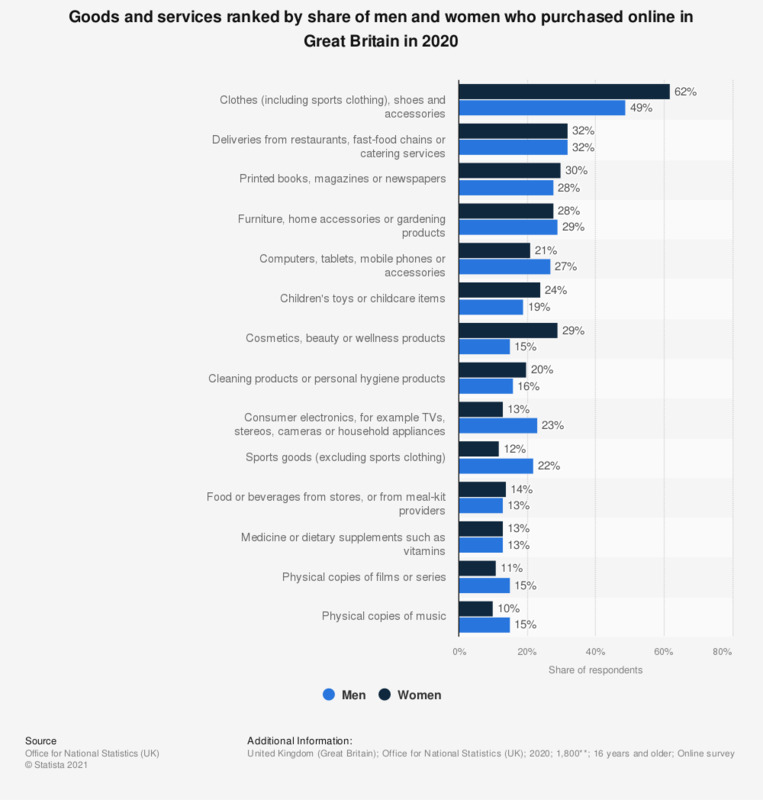 This statistic displays the types of goods purchased online in Great Britain in 2018, by gender. Of women, 59 percent purchased clothing or sports goods. This is greater than the share of men who purchased clothing or sports goods, which reached 50 percent.